Go-live time 2019/4. - nexxar lab. - nexxar lab. nexxar’s log on published reports. After a fundamental redesign, the WACKER Annual Report 2018 sees the light of day – with an overall generous design using white space to increase clarity. 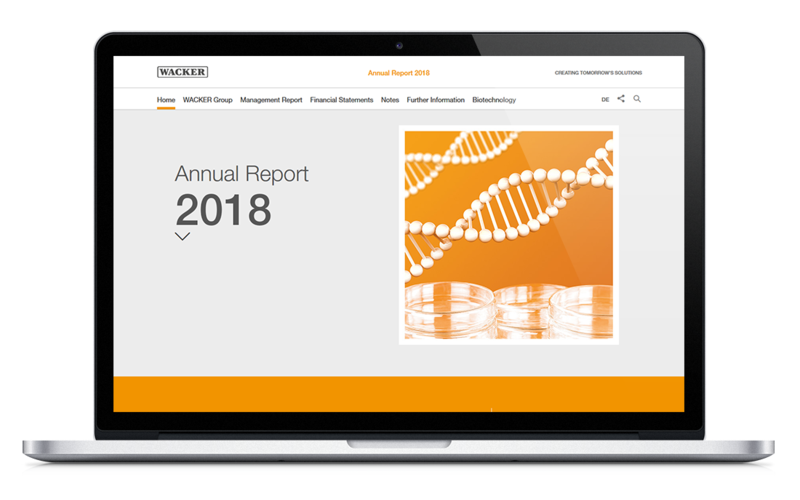 The new scrolling landing page provides a quick overview of the business development, presents the redesigned WACKER sites map and directs users to the focus chapter “Biotechnology“, which focuses on products and innovations in the business unit. The Annual Report 2018 of ProSiebenSat.1 Media SE stands out with a modern, bold design using stylized typographic elements and illustrations. Online-only content, embedded videos and engaging animations all invite users to explore the content. 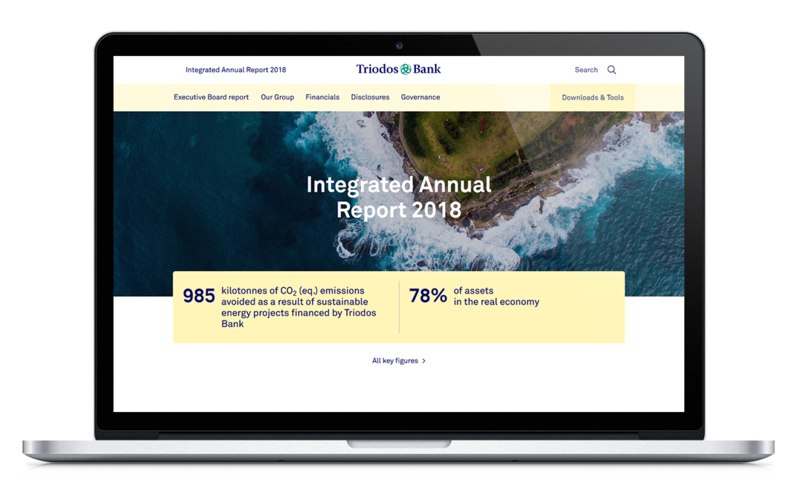 The Triodos Intergrated Annual Report 2018 shines with a new design, following a refreshing corporate design update. The generous landing page in full-screen format highlights focus topics such as strategic objectives as well as stakeholder and material topics. Triodos’ contribution to the SDGs is reported transparently and integrated on the related content pages.